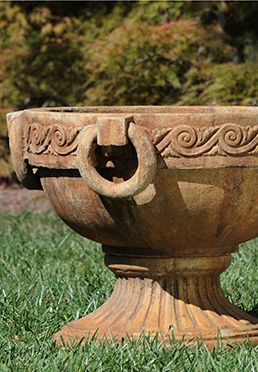 Inspired by pieces of antiquity that George Vanderbilt collected during his world travels. To find a store near you, call Unique Stone at 910-817-9450. Crafted exclusively for Biltmore by Unique Stone.